As most of you know, Bianca Cook, an active Truth member, was in a car accident last week. Thankfully, she is going to be okay & will make a full recovery. With that being said, we would like to show the Cook family support during this time and will be hosting the “Bianca” WOD this Saturday, April 2nd. The “Bianca” fundraiser WOD will start at 9:30am. Come show the Cook family love, get a good workout, and fellowship with our Truth family. Everyone is welcome!! See y’all there! Also, don’t forget Crawfish Boil this Saturday at 5pm at the Rogers house!! 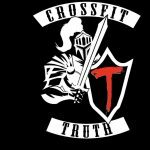 CrossFit Truth has adopted two kids, one boy and one girl, to be “Santa” to this Christmas. On the announcements board at the gym you will find more information about them and different toys they like. If you would like to help provide clothing or a toy for a child please sign-up at the gym so we don’t overlap too much on what presents they get. Anything is helpful, big or small. Let me know if you have questions. I know together we can help these kids have a great Christmas! Thank you! Just a reminder about the Amanda Schwartz clinic this Saturday, May 30th, at 9am. It will be a great morning focusing on skills like pull-ups, handstand push-ups, toes-to-bar, wall balls and a few other things. We can always improve on these skills and I guarantee Amanda will be able to give you some pointers to improve, no matter what skill level you are at!! Amanda is a great coach/teacher with a lot of experience training with the best coaches in the business as well as competing at the highest level at The CrossFit Games! Come learn a few things from her this weekend! It is $20 and from 9am-11am. All are welcome! Bring a friend in the New Year!! We have exciting things happening at CrossFit Truth in 2015 and we are looking forward to a great year! We want to encourage you to bring a friend to join in on the fun with our ‘Bring a Friend Program’. You get $25 off your next months membership! If you bring two friends who both decide to join then you get $50 off. There is no limit to the amount of friends you can bring so you could get 1 month free just for bringing friends! We are going to run this program during January & February to start. If your friend comes during a different class time than you just make sure they mention to me who to give credit to! Start thinking of friends to invite and remember that CROSSFIT IS FOR EVERYONE!!!! Stay tuned for other exciting things to come!